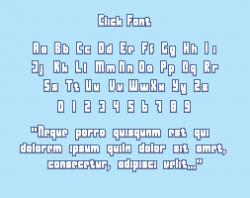 Chunky pixelated display font intended for labels and buttons. It makes text blocks pretty hard to read. 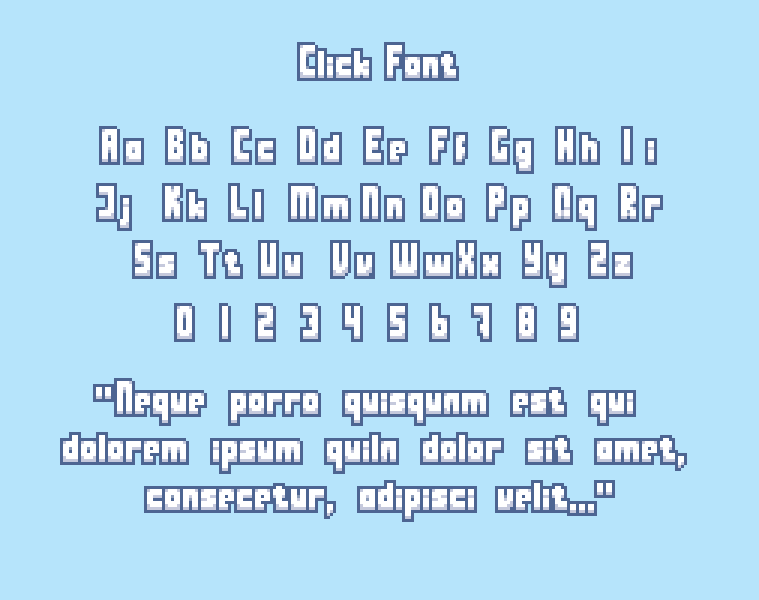 Currently supports all printable US-ASCII characters. Click_png.zip contains bmf formatted image, as used by Love2D, GrafX2, Cosmigo ProMotion (more info). This format doesn't support letter spacing. Click_fnt.zip contains xml-based BMFont used by engines such as Phaser, LibGDX, Godot, Cocos2D, etc. (more info). It sets letter spacing as intended. Good work, thanks for sharing.